Mariusz Pudzianowski is the second man to feature in our new World’s Strongest Man series. Being the only man to have ever won the World’s Strongest Man title five times makes him a distinguishable character. Just a quick glance at his muscled physique and serious face shows he’s a man who means business. Mariusz Pudzianowski is undisputedly one of the best strongmen that the sport has seen. He’s competed against many of the greats, men like Zydrunas Savickas, Brian Shaw, and Svend Karlsen. As well as being a winner of the World’s Strongest Man, his hard work earned him the Europe’s Strongest Man title for six years and Poland’s Strongest Man for seven years. Figures why he was nicknamed “Dominator”. To be a world class strongman requires a massive combination of strength and skill, so training twice a day is almost a necessity. Pudzianowski’s morning sessions were in the gym and his afternoon sessions were spent on event training. Squats, front squats, deadlifts and overhead lifts were main key exercises used in his strength program. To give you some example of the weight loads used during his fast-paced workouts, he would bench up to 220kg for sets and front squat up to 250kg. He crammed many exercises into his sessions and the routines would have challenged even the best conditioned strongmen athletes. Believe it or not, ‘Pudzian’ (another of his nicknames) followed no strict diet plan and had a soft spot for chocolate. 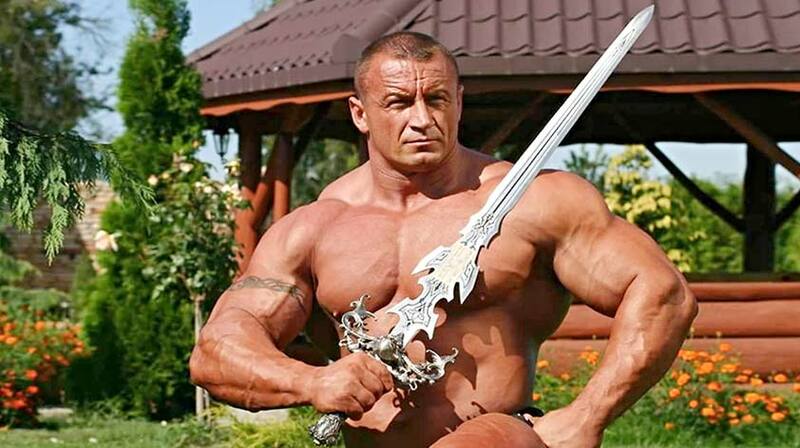 Moving forward a decade since his last World’s Strongest Man competition, Mariusz Pudzianowski clearly hasn’t let up. He’s now an MMA (Mixed Martial Arts) fighter. Although the skills earned from one sport don’t always transfer well into another, this athlete has proved successful in fighting. He has fought and defeated highly ranked fighters like Bob Sapp, Rolles Gracie, and former British strongman Oli Thompson.